Caroline Anier, originally from the Palace of Versailles, is recognized as one of the world’s best female polo players. Currently holding a 4-goal outdoor rating, Anier has led her coed team to major victories, including the Governor’s Cup; a competition that takes place in the Palm Springs winter season. When Anier is not on the field, she can be found raising and training horses, as well as teaching Polo to young students of the game. Caroline Anier teamed up with Polo legend Sunny Hale to compete on the Molina Fine Jewelers Women’s World All Star Team at the Polo Championships in 2014. Although they left without the victory, Anier was a part of one of the most talented all-Women’s teams in the sport of Polo during the year. Arellano is the highest goal player to ever grace the Bentley Scottsdale Polo Championships. Beginning his career at just 9-years-old, Julio Arellano has taken the Polo world by storm. Arellano began experiencing his success on the field when he was just 16 years old, and starting traveling to places such as Mexico, Brazil, Berlin, Argentina, and Canada, which are all part of an extensive list. 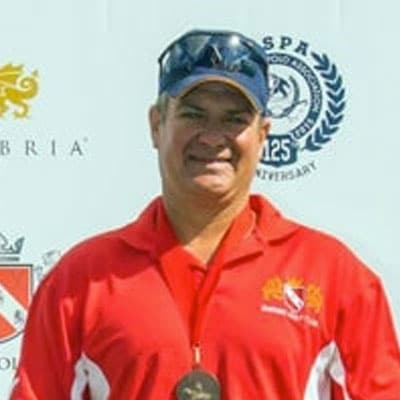 Winning over 25 tournament championships, including the renowned U.S. Open 4 times, Arellano has also added the High Scorer in NAPL 2006, High Scorer in Sunshine Leagues, and the U.S. Open MVP to his vast arsenal of awards. Arellano presently holds a 9-goal handicap, which he hopes to transform into the illustrious 10-goal handicap within the coming years of his impressive career. He also received a Bachelor’s in International Business from Florida Atlantic University, and now resides in Wellington, Florida with his wife and three children. Participating in the Polo Championships in 2014 and becoming the #1 polo player in the country that same year, Arellano’s accomplishments brought the highest level of competition and professionalism to the Championships. There is no question that Tommy Biddle Jr. is a powerhouse on the polo field. With an intimidating and dominating stature of 6’3” and 230 pounds, Biddle is nearly unmatched by anyone else in the sport. 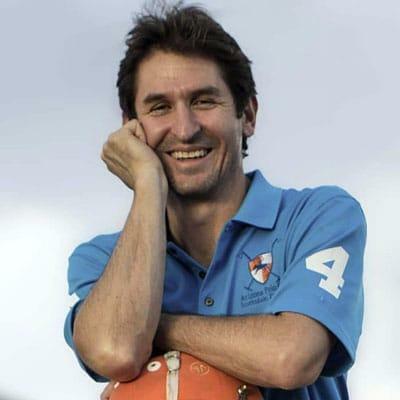 Biddle is a major asset to the Polo field, as he is one of only four players in history to obtain a 10-goal rating in arena polo; a level that many polo elitists strive to reach. 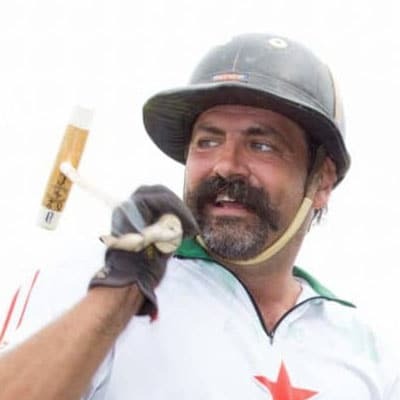 During his successful time at the Polo Championships in 2012, Biddle exported his authoritative and aggressive attitude bringing more excitement to the field. He was one of the first two professionals to ever play in the event, enriching the event with his stature and ‘big-hitting’ that will not be forgotten by the crowd. Since the very beginning of the Bentley Scottsdale Polo Championships, Tim Braun has been a believer. 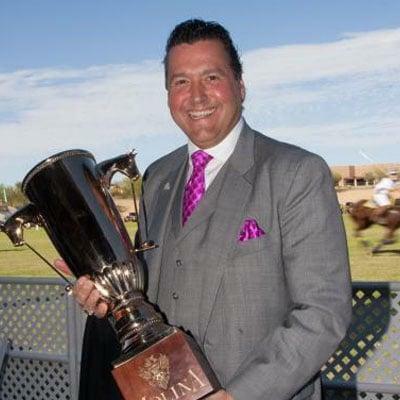 Having an interest in the sport of polo from early on and as the Vice President General Manager of Neiman Marcus Scottsdale, Tim has helped make this event exceptional by becoming a sponsor before the event had been fully established. It was just five years ago that the Bentley Scottsdale Polo Championships started and since then it has grown into the most interesting polo event in the world. That would never have happened without the class and confidence of Mr. Braun. The Scottsdale All-Stars Polo Team is fortunate enough to have Andres Camacho as one of its elite members. He is the top ranked player in Arizona. Being introduced to the sport at a very young age, Camacho’s career has been anything but fleeting. He currently holds a 3-goal handicap in both indoor and outdoor polo, and he continues to be a major influence on the sport today. Camacho can be seen teaching and training in his spare time, as well as, rescuing and providing rehabilitation to Off the Track Thoroughbred Horses so they can step onto the field once again. By displaying passion, talent, and a colorful personality, Camacho has left an undeniable and permanent mark on the event since its inception. How can a person who was pulled down the field post-match by a Porsche NOT be a Hall of Famer? Besides his notorious accomplishments, Dan Coleman is a life-long rancher, all-round cowboy, and skilled polo player. He has been playing polo since 2003 and has played in the U.S. Arena Open, the National Delegates Cup, the National Sherman Memorial, the Copa De Las Americas and in many countries and three continents. Since the Bentley Scottsdale Polo Championships’ inception, Dan has played every year and won four consecutive times. But Dan is more than just a great polo player, as he is one of the founders of Being The Change – a non-profit organization that gives children the unique opportunity to learn how to care for horses and play the game of polo. He continues to play on Polo Azteca as the President, and is also the owner of the Pie Town Polo Club in New Mexico. Last, but not certainly not least, Dan serves the national community on the Board of Governors for the United States Polo Association. Dan’s invaluable counsel and support make him an easy inductee. There has been no better ambassador for the Bentley Scottsdale Polo Championships than the Captain of the Wales Polo Team. In 2015 Ricky Cooper will return to the Polo Championships for a third consecutive year. 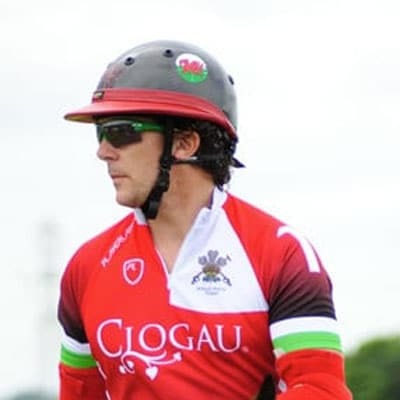 Bringing focus and fierce competition to the field, Cooper’s extensive leaderships skills helped him lead his team to the final of the British Beach Polo Championships and the Glanusk International. Cooper was a major influence in starting the Wales Polo Association which has proved to be a huge success. 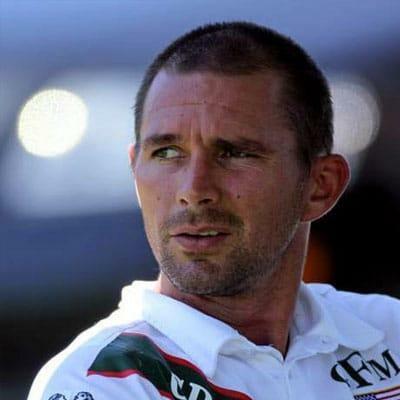 Cooper can be found competing in half and full marathons, and is a former Great Britain Ice/ Roller Hockey representative of numerous World and European Championships. As the 2-time defending champions in Scottsdale, Cooper and the Centtrip Wales Polo Team always bring a level of class and competitiveness to the Championships. And when it comes to spreading the word about “the world’s most interesting polo event,” Cooper is in a Hall of Fame class all his own. 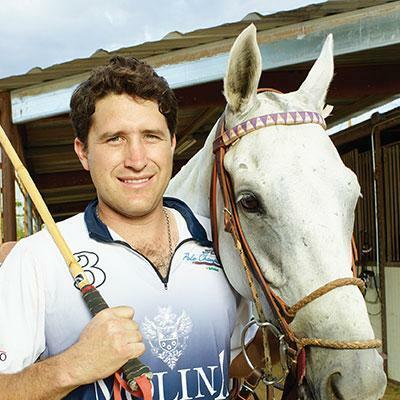 Animal lover and accomplished polo player, Diego Florez is the current Scottsdale All-Stars Polo Team manager and has played in the Bentley Scottsdale Polo Championships for all five years. Diego, a native Columbian, began playing polo in 2008 and quickly found that no other sport compared. 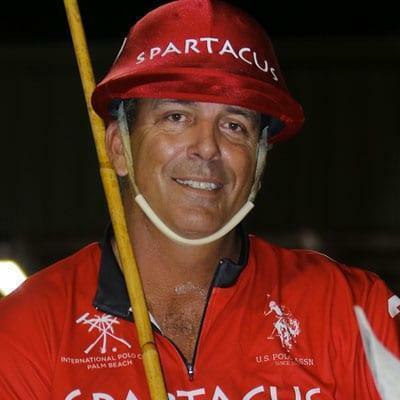 He currently holds a 1 goal handicap and won the 2015 Don King Days tournament, one of the country’s most sought-after polo trophies in Sheridan, WY. But he doesn’t just love working with animals on the field – Diego is the owner and operator of the Aztec Animal Hospital and a practicing veterinarian there. His passion for animals is brought onto the field with his intense connection with the ponies and adrenaline pumping game play. Along with Bill Clark, Florez was one of the original believers in the vision that became the “world’s most interesting polo event”. Co-owner of the Aspen Valley Polo Club and winner of dozens of polo championships herself, Melissa Ganzi and her husband Marc, are some of the most prominent names in American polo. 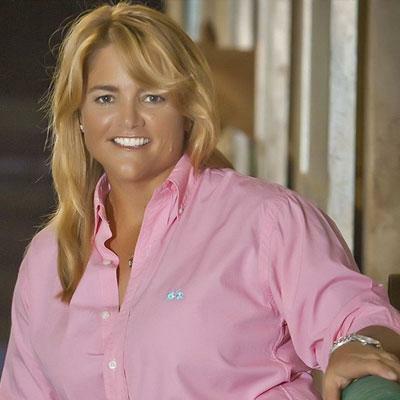 Although her love for horses began as a child, Melissa wasn’t introduced to the sport until the year 2000, leading her to be the first woman to win the USPA Monty Waterbury Cup the following year, and the first woman to compete in the St. Moritz World Polo Championship last year (and again in January of this year). She was also the first woman to win the 2016 World Snow Polo Championships in Aspen for her Flexjet team this past December. In addition to being a businesswoman, record-holder, champion, and mother, Melissa is actively involved with various associations of the sport. Among her numerous titles includes president and fundraiser of the Museum of Polo and Hall of Fame Board of Directors, USPA Florida Circuit Governor, and secretary of the Polo Training Foundation. Melissa first played in Scottsdale in 2015, helping The Bentley Scottsdale Polo Championships reach new heights, leading her Aspen Valley team to a win over Wales. In 2016 she again led Aspen Valley to a win in The Molina Cup, this time over Palm Beach. Without the generosity and enthusiasm of Melissa, The Bentley Scottsdale Polo Championships would not be one of the world’s most interesting polo events. We offer our sincerest appreciation to Melissa and her husband Marc as we look forward to honoring her at the 2017 event. 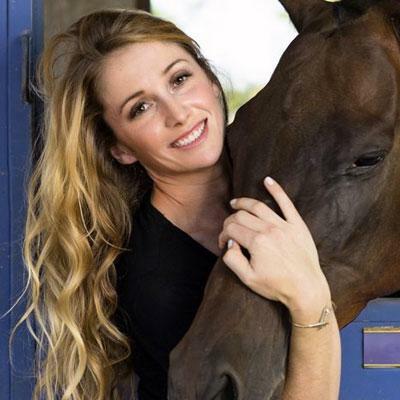 Natalie Grancharov Camacho, though a long- time lover of horses, started playing polo while at UC Davis while studying physics. Natalie is a member of the Scottsdale All-Stars Polo Team where she plays with her husband, Andres, and takes a very active role in coordinating new players and influencing more women to join the sport. While not on the field, Natalie is a Process Engineering Manager at Intel Corporation and enjoys spending time with her family and horses at the polo school she and her husband have built together. She is a tireless advocate for the event. Wherever she is needed, she is there. Always there. She also happens to be the best female polo player in America. From impacting a sport dominated by men, to being the first woman in history to win the U.S. Open, Sunny Hale is rightfully considered the best female polo player in the United States. 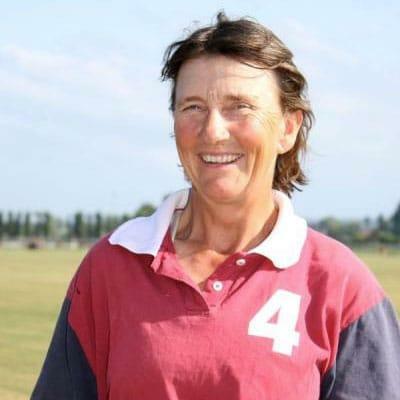 Hale was the only woman on the field during the victory in 2000 at the U.S. Open, and has earned the Woman Polo Player of the Year Award a record 7 times. Additional honors include a handicap of 5-goals, which is the highest handicap that a woman has ever received, and being inducted into the National Cowgirl Hall of Fame in 2012. Tacking onto her wide range of accomplishments, Hale has been featured on ESPNW, Sports Illustrated and the New York Times. Earning captain of the Volvo of Phoenix Women’s All-Star team in 2013 and the Molina Fine Jeweler’s Women’s World All-Star Steam in 2014, her extraordinary list of accomplishments has brought additional diversity and excitement to the Scottsdale event. Jeff Hall is the all-American story. Raised in Santa Barbara, CA and Houston, TX, Hall began riding horses at just four years old in Indio, CA where his father John Hall, an enthusiastic polo sponsor instilled a passion for the sport. By the time Jeff was seven he had already decided what he wanted for his future. His dream of becoming a professional polo player became a reality at 12 years old and he hasn’t looked back since. Hall has won almost every high-goal trophy in U.S. polo including the most prestigious, the U.S. Open. Currently holding a 7-goal handicap, Jeff is one of the best players in the world, and one of just a few highly rated American players. Hall played in the 2013 Scottsdale Polo Championships. 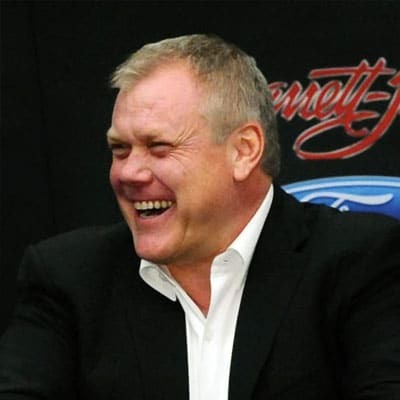 As Chairman and CEO of the Barrett-Jackson Auction Company, Craig Jackson has earned a reputation as one of the world’s most respected collector car and restoration experts. Growing up in the family business gave Craig the opportunity to develop the expertise that has helped propel Barrett-Jackson’s evolution into the world’s leading collector car auction and automotive lifestyle event. During his tenure, Jackson has taken the original Barrett-Jackson Collector Car Auction in Scottsdale to other popular destinations across the United States. He is responsible for managing all aspects of Barrett-Jackson Auction Company’s multi-media empire that serves the collector car industry. Craig has been with The Polo Party since its inception in 2011 and event attendees have seen an exclusive sneak preview of the annual Scottsdale auction each year. Click here to learn more and to consign or bid! Considered some of the best nightlife and restaurant entrepreneurs in Scottsdale, Chad Landau and G.R. Boone have had a major influence in the Scottsdale entertainment industry and the Polo Championships. Together, Landau and Boone are responsible for opening popular nightclubs that include SmashBoxx Night Club and Dollhouse Cocktail Lounge in Old Town Scottsdale. Their biggest accomplishment in the Valley to date is the opening of the Original Chop Shop Co., a quick, healthy, and affordable restaurant with locations in Scottsdale and Tempe. The influence of Landau and Boone on the Polo Championships continues to have a positive impact on the event each year. 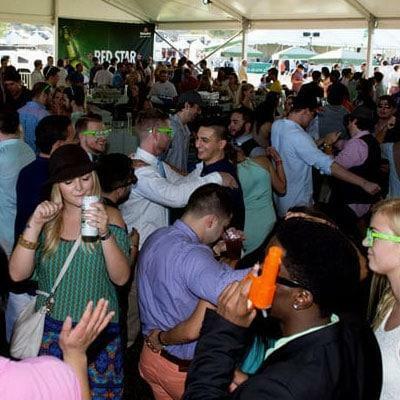 The duo was responsible for introducing the popular party tents on-site, a feature that makes Scottsdale’s atmosphere unrivaled in the polo world, where attendees can enjoy a taste of the Scottsdale nightlife. Their efforts each year at the Championships and continue to give it a unique and interesting atmosphere that is unlike any other Polo event in the country. Alfredo Molina, Chairman of the Phoenix-based Molina Group and owner, is one of the nation’s foremost procurers and appraisers of gemstones. He is a graduate gemologist from the Gemological Institute of America, a Fellow Member of the Gemological Association of Great Britain, and a certified gemologist and appraiser from the American Gem Society. 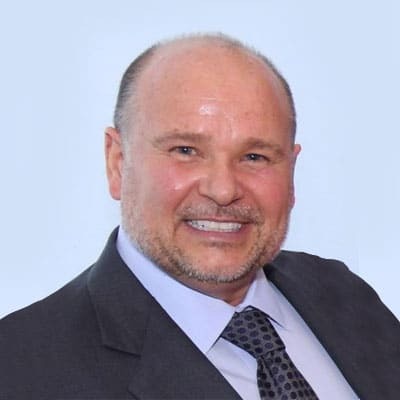 He appears as keynote speaker at seminars and workshops on appraising gems, and even assists law enforcement agencies in recovering stolen gems and serves as an expert witness for the U.S. Customs Service. In 2002, he was appointed to serve as an Honorary Counsul of Spain for Arizona. Through his generous sponsorship and support of local and national charities, Alfredo seeks to improve the lives of those less fortunate. Alfredo and the Molina Group have been proud to support the Bentley Scottsdale Polo Championships since its inception back in 2011. Carolyn Mullany Jackson, a steadfast supporter of The Bentley Scottsdale Polo Championships, is one of the Valley’s most respected and dynamic women. In addition to working alongside her husband Craig as Brand Manager of Barrett-Jackson, The World’s Greatest Collector Car Auctions, she also is an extraordinarily generous leader in the Arizona charitable world. Carolyn recently launched a bold yearlong charitable initiative, Driven Hearts, in an effort to empower her community to take a stand against heart disease. This imaginative idea was the result of Carolyn’s volunteer work. As the Chairwoman of the 2018 Phoenix Heart Ball, she is also a powerhouse behind Barrett-Jackson’s astounding charitable efforts—which have raised some $100 million to date for causes that benefit veterans, children, and medical research initiatives alike. Carolyn and Craig Jackson’s relationship with the Bentley Scottsdale Polo Championships is longstanding. Besides setting an example for all associated with the event, she was also a driving force behind the establishment of “Prime: A Luxury Tent Experience by Steak 44, Neiman Marcus & Barrett-Jackson” that debuted in 2017. Carolyn’s resolve, tenacity, and dedication to her community and work is inspiring, and The Bentley Scottsdale Polo Championships have benefited significantly from her insightful creativity and unwavering support. And that is why we proudly induct her into our Hall of Fame. Stepping onto the polo field at just 14 years old, one of polo’s hottest stars, Nic Roldan brings an attractive persona to the field. Roldan captured his first major win at the U.S. Open Championship in 1998, before finishing the year with the Young Player of the Year Award. Helping him land a contract with the Wilhelmina Model and Talent Agency, Roldan was named one of Vanity Fair’s 10 Hottest Horsemen. In 2014, Roldan was named one of Town & Country’s Top 50 Bachelors, alongside heartthrobs Leonardo DiCaprio and Prince Harry. 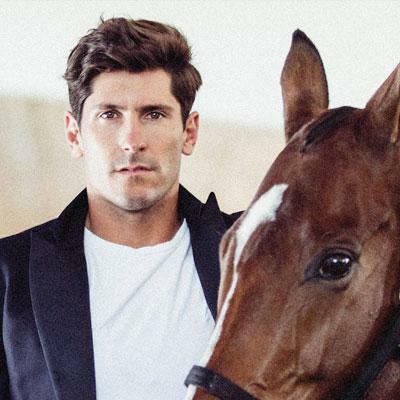 With an undeniable reputation as one of polo’s hottest stars, Roldan brought a stunning edge to the Polo Championships in 2012, and plans to return in 2015. His appearance in 2012 is one of the primary reasons for the event’s substantial growth. 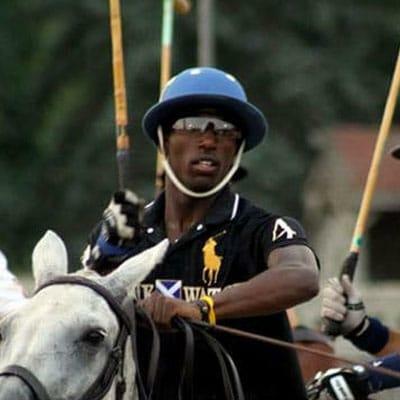 Kareem Rosser began playing polo as a young child with the Work To Ride program in West Philadelphia. This foundation was created to give students in West Philadelphia the opportunity to learn work ethic and discipline through various equestrian sports, such as polo. Currently a student at Colorado State University, Rosser led his Work To Ride team to victory at the Interscholastic Polo Championships in 2011 and 2012. That victory made history as the first All-American team to compete and win the prestigious tournament. Additional honors include being voted the #1 player at the National Interscholastic Championships. Rosser’s team defeated Harvard University in Scottsdale in 2012 before losing to the college champions from the University of Virginia in 2014. Created in the early 1950s, The University of Virginia Polo Club began competing in 1953. Since then, University of Virginia has shown incredible success with no signs of slowing. Their top honors include 11 Men’s National Championships, 9 Women’s National Championships, 4 Connie Upchurch Memorial Sportsmanship Awards, 10 PTF Intercollegiate Player of the Year Awards, and 46 All Americans. 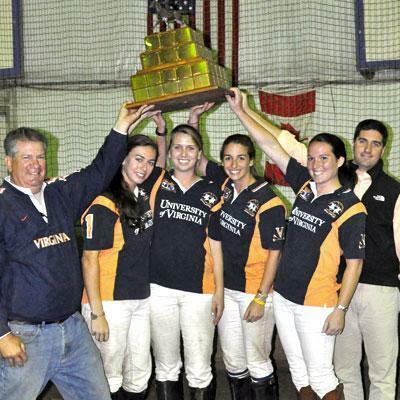 The Virginia Polo Center, where the team trains, showcases an indoor and outdoor arena, and is the current hose for the USPA Interscholastic and Intercollegiate events. Traveling across the country to join the event in 2013, the distinguished team routed its opponent. 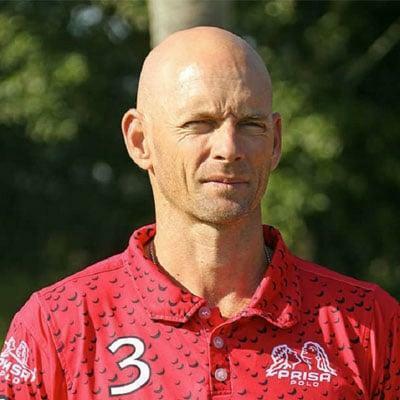 Erik Wright has been playing Polo for more than twenty years, and has become known as one of the premier Polo coaches in the United States. 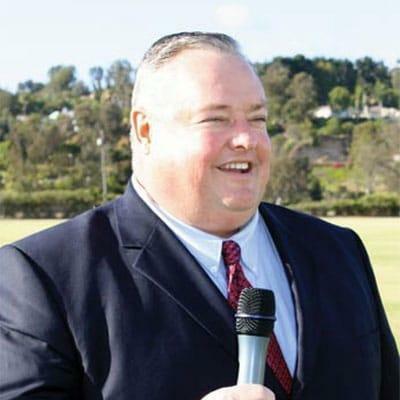 In 1998, he founded Wrightway Polo, located along the coast of California, and remains there today as a USPA endorsed instructor. Wrightway Polo’s also runs a lease horse program, where Polo players can lease a horse with the skill set to suit their needs, to learn to play polo, as well as compete. Erik Wright’s lease horse program helped bring the Polo Championships to the next level with their horses. Simply put, withouth Erik Wright the event wouldn’t have gotten off the ground. The Polo Championships would not be possible without the countless horses that Erik Wright and Wrightway Polo have provided in previous years. His counsel and contributions will always be remembered and are deeply appreciated.